Kent Rasmussen was born in Randers, Denmark in 1961 and was destined to be an artist from his early years. As a child, he would draw and make sculptures in his father's workshop – all of which added to his skill and education. A formal education focused on architecture and engineering led toward a more enjoyable life of being an artist through many different mediums. 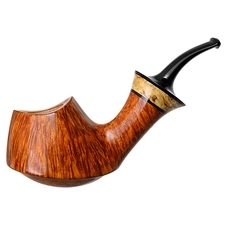 Initially self-taught, Kent met Teddy Knudsen in 1998 and fell in love with the subtleties of briar. 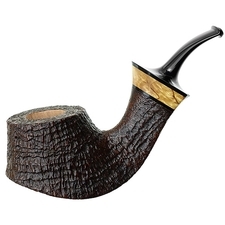 At 43, Kent Rasmussen is the youngest among the pre-eminent Danish carvers. 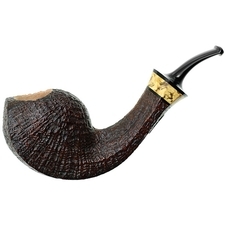 Kent has simply exploded on to the world pipe stage: going from unknown to widely celebrated in just a few short years. 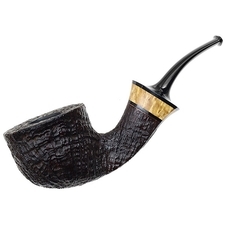 Of course, his reputation and his new found pipe-world fame are richly deserved. 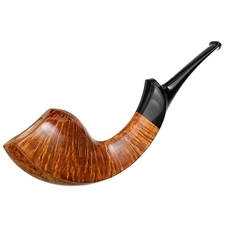 He is making some of the most interesting, fresh pipes coming from Denmark today. 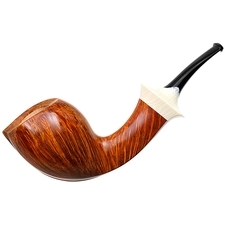 One of the most sculptural pipe makers around, Kent rarely makes classic shapes. 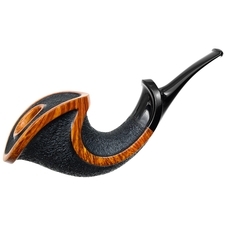 His love for design is evident in the many curved, detailed, and voluptuous pipes he carves. 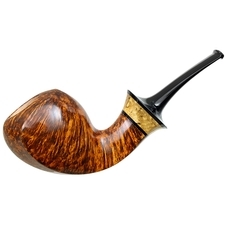 Using mainly Corsican and Greek briar, each piece starts life as an idea which later changes slightly through extensive refinement. 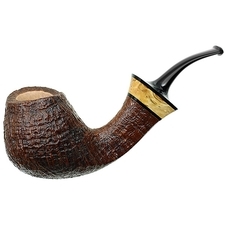 His stems are all hand-cut from vulcanite rods, and most of his tenons are made from a delrin type material. 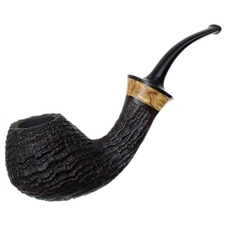 Producing smooth, sandblasted, and intricately rusticated pipes, his work is impeccable and always focused on quality. 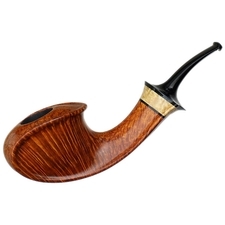 True to simplistic elegance, few accents besides boxwood and spalted maple are used. Kent's pipes are either not graded, or in stars (one, two, or three) and his highest grade is the butterfly.